Every maker has a story. Be a part of Ingrained Builders, LLC's story by placing an order, leaving a review, and seeing your review appear here. 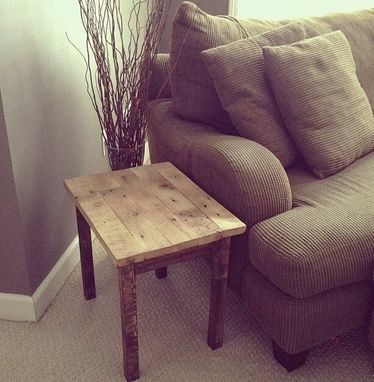 Handcrafted rustic/modern table made from reclaimed barn wood from southern Missouri. The grain in the wood is absolutely beautiful! So much history in this 100 year old wood!